meet me in Okemah imagines the blink of a camera shutter on may 25, 1911. G.H. 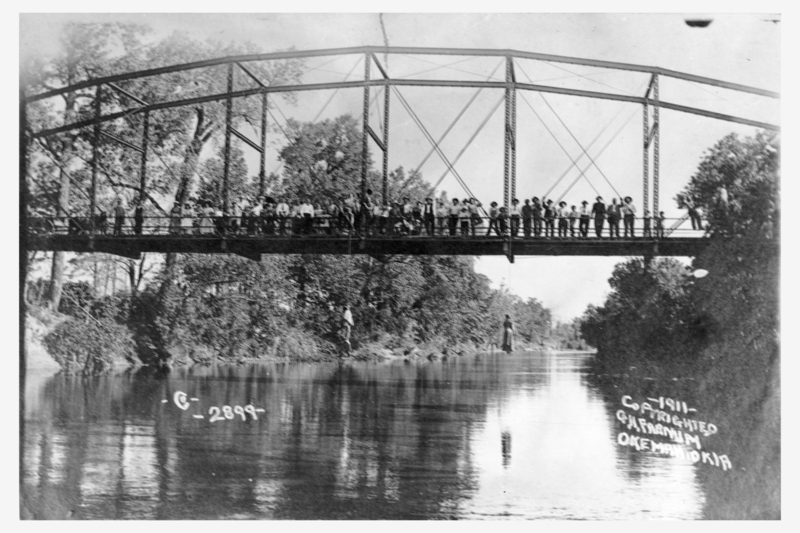 Farnum’s photograph of a double lynching reveals a crowd lining a bridge to see the sights.